Happy Free Book Friday! We’re kicking off our Spring 2016 title giveaways with a middle-grade madness double giveaway. Enter to win a copy each of two UK imports: The Bolds and The Executioner’s Daughter. The Bold family seems fairly normal, but they’re keeping one hilarious secret: they’re hyenas. That’s right—they’re covered in fur, have tails tucked into their clothes, and really, really like to laugh. Will their neighbors ever find out? 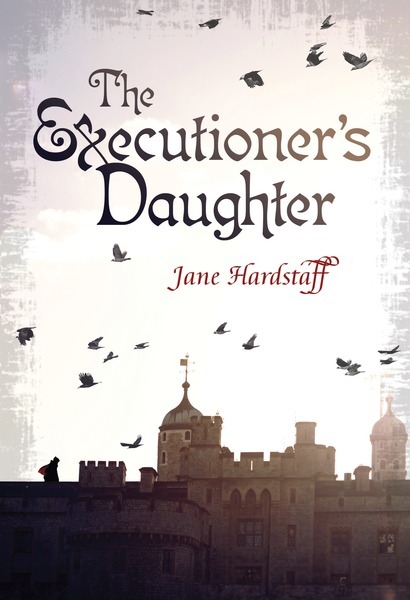 All her life, Moss has been trapped inside the Tower of London with her father, the executioner for King Henry VIII. She’s so desperate to see the outside world that even chilling stories of what lies beyond won’t stop her. Both families sound like fun reading! Looks who's auntie came with a new book!! These would be great to read. Thank you! Especially excited about a MG set in the reign of Henry VIII. I'm an elementary librarian and would love to win these titles for my students! These would be great for Big Earl! Good readings for my friend's child! Look like great Reads… thank you so much.. They sound like great reads. Thanks. They seem like great reads. I love new books!